Finding time to exercise during the day can be difficult but doing so can be beneficial to your health and well-being in the long. Even doing something as simple as household chores can allow you to sneak in a quick workout without taking time away from your busy day. Here are four life hacks for exercising that you can do during everyday household chores. Begin in an upright standing position, keeping your head, shoulders, hips and legs in alignment. Hold a broomstick or vacuum cleaner by the handle in one hand. Take a big step forward with one leg and then lower your back knee to the ground, pushing the broomstick forward in a pushing motion. Raise back up and repeat the movement on the opposite side. 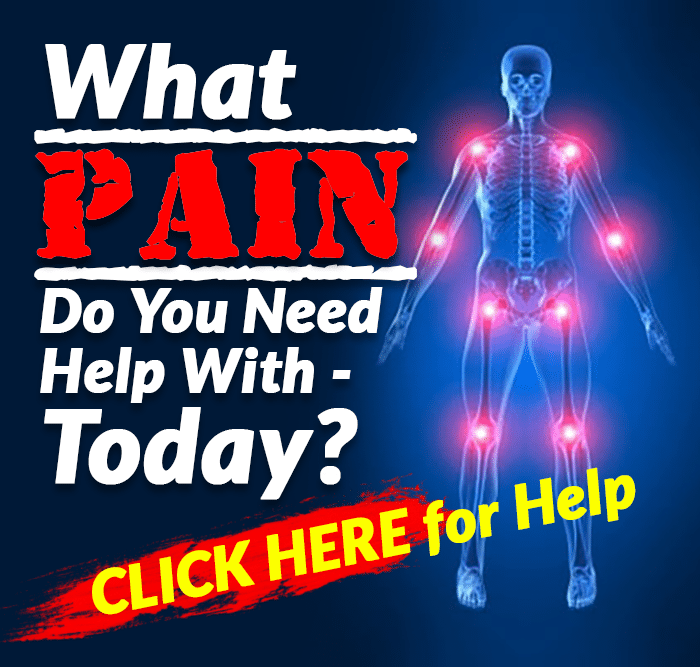 Perform this exercise in a smooth, controlled movement several times while you are cleaning. The intensity is light. Begin in an upright standing with your legs slightly more than hip-width apart and your toes slightly pointed outward. Hold the laundry basket ― empty initially for those just starting out and full of clothes or other items once you have been doing them for a while ― in both hands at chest-height. Bend your knees and hinge through your hips to move into a deep squat, lowering the laundry basket to the floor. Raise back up and repeat the movement. Begin in an upright standing position with your hip-width apart and maintaining good alignment with your head, shoulders, hips and legs. Bend your knees and hinge through your hips to move into a squat as you pick up something from the floor. Raise back up, then curl your arms to bring your hands to your shoulder and then extend your arms out in front as you put the item away. Repeat the movement. Perform this exercise in a smooth, controlled movement several times while you are cleaning. The intensity is light. 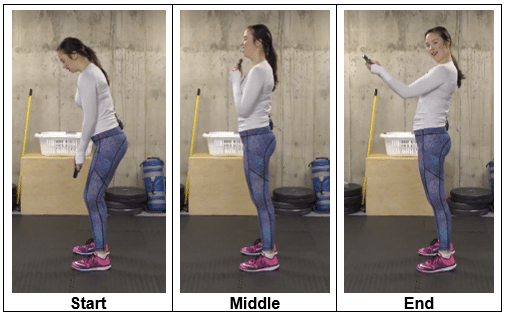 Vary the exercise by alternating from one hand to the other. Be inefficient so that you get to move all around the place. Instead of taking all of your groceries in one go, you can carry them one bag at a time. If you need to take the stairs, do them several times instead. 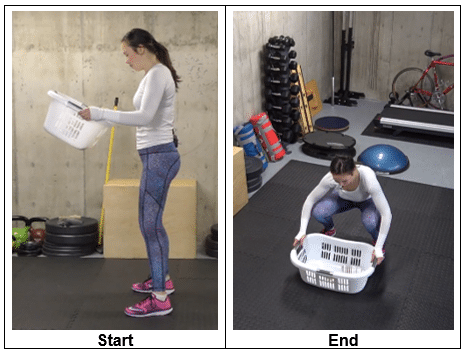 If you need to pick up something from the floor, do them one at a time as you do the Clean Up Curls or the Laundry Squat. 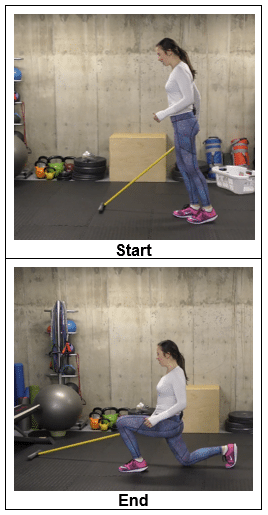 Even if the floor is clean, you can get some easy exercise time in by doing the Vacuum Lunge. 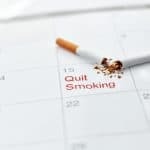 Give these four life hacks for exercising that you can do while doing your everyday household chores and discover how easy it is to sneak in a little exercise in when you’re doing normal, everyday activities. You can probably even think of other tricks like these to add to a daily household cleaning regimen. If so, let us know in the comments section on the video. 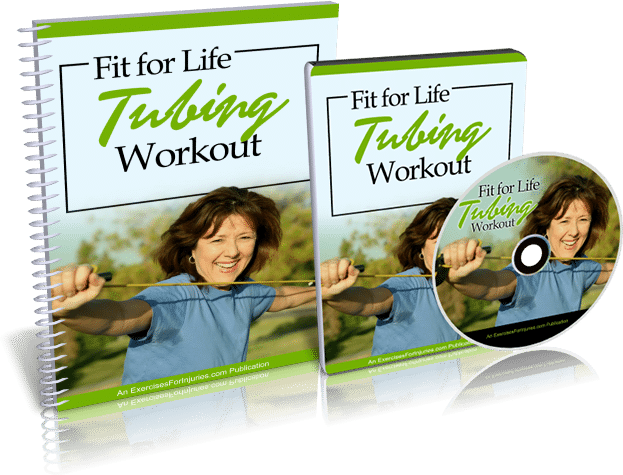 If you are looking for exercises that will help you melt flab, boost energy, and regain confidence, then check out the Fit For Life Tubing Workout program.